When you use the Internet, you use domain name and hostnames all the time. These hostnames and domain names when put together become the Internet address that you search with. The domain name without a hostname is also the most common email address. This article will explore what hostnames and domain names are and how they are used. We will also discuss TLD's, or Top Level Domains, such as .Com, .Net, .Org, etc. Domain Names are the unique name that identifies an entity, whether that be an single individual or a company, on the Internet. Domain Names always have 2 or more parts seperated by the dots. The leftmost piece is the most specific part while the right part is the TLD or Top Level Domain.. Lets disect a domain name so you can see what were are talking about. Take the domain name want2host.com. This domain name consists of two parts. The leftmost part is the word that identifies the entity, in this situation its want2host. This is a unique name and there can not be any duplicates on the rest of the Internet that are used by anyone else. The second part, or the rightmost part is the TLD, or Top Level Domain. This is .Com which means that it is a commercial organization. This TLD is intended for Commercial business around the world. This TLD is historically and is still used by Internet Service Providers. This TLD is intended to search the noncommercial community. This TLD is restricted to use by the United States Military. This TLD is restricted to use by United States Government Agencies. As the Internet grew and expanded throughout the world, new TLD's were created to represent different countries. For example the TLD .uk is for the United Kingdom and .au is for Australia. 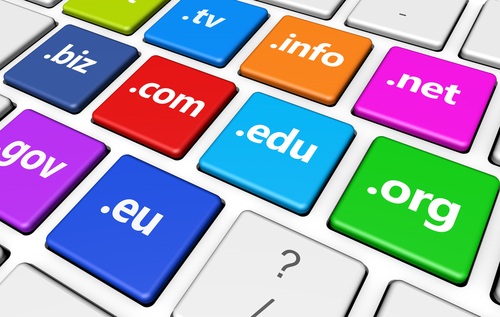 As more and more domains were registered, available domain names in the above TLD's were hard to come by. Due to this more TLD's such as .biz, .info, .name were created to allow more people to register domain names that fit their needs. Hostnames can be a confusing as they have a double meaning. The hostname of an Internet Address is all of the left most pieces of a full internet address if there are more than 2 parts to the address. If there are only 2 parts of the address, then the hostname is equivalent to the domain name. As you can see from the examples the hostname can be many different things. ● If the entire address consists of only 2 parts, then the hostname is equivalent to the domain name. ● If the entire address consists of more than 2 parts, then the hostname is equivalent to the left most pieces before the first period. ● want2host.com is the domain name. ● www.want2host.com is the hostname as well!! !